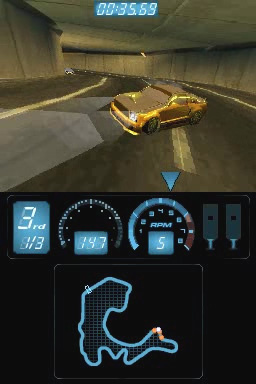 So far on DSiWare, puzzlers are bountiful, platformers becoming more so, and don't get us started on sudoku games, but the amount of decent racers can be counted on one chain-chomped hand. 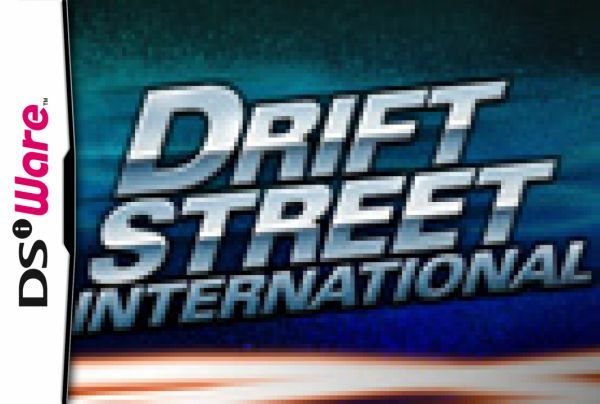 So when something as pretty as Tantalus Media's Drift Street International rolls up, our knuckles turn white with interest. 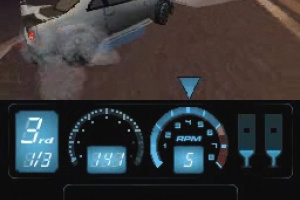 It may not blow past the.. 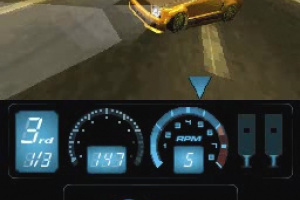 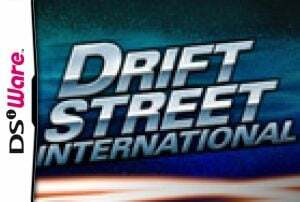 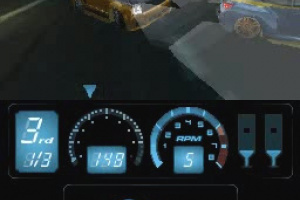 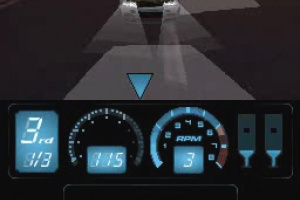 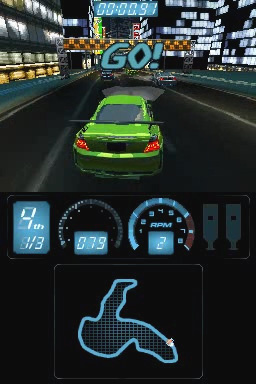 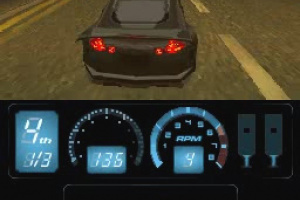 Drift Street International is the ultimate high-speed, white-knuckle street racing experience, made exclusively for Nintendo DSiWare. 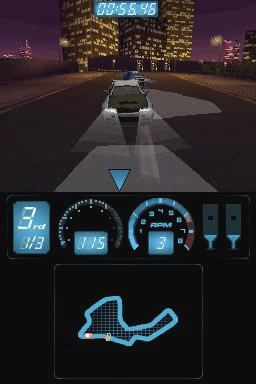 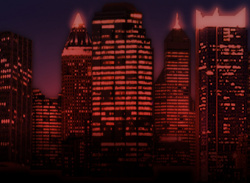 Slide and boost your performance car around challenging city streets in high-intensity midnight races across the United States, United Kingdom and Japan. 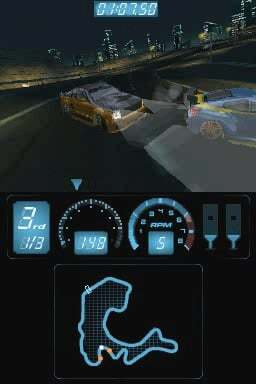 Precise, responsive controls give you total control of your car - push yourself to the edge and own your opponents. 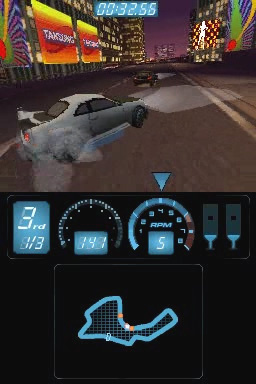 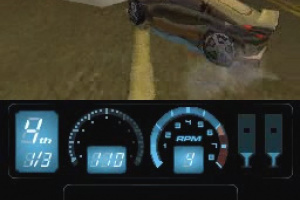 Drift sideways through corners, building your nitrous meter to let you boost past opponents on the next straightaway. 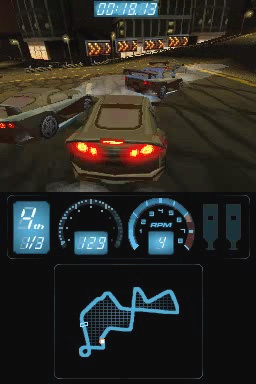 Test your skills against challenging, aggressive AI drivers, or take on your friends in four-player head-to-head wireless races. 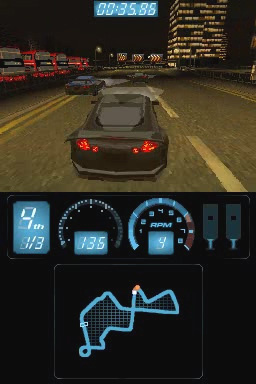 Additionally, each track plays host to arcade-style checkpoint races and challenging speed trials in which you must keep the speed close to the max to avoid elimination. 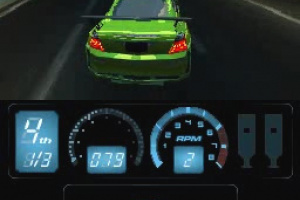 Unmatched speed, smoothness and draw distance are only possible by taking full advantage of the Nintendo DSi hardware. 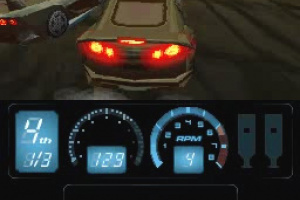 Certainly looks like a good racing game for Dsi. 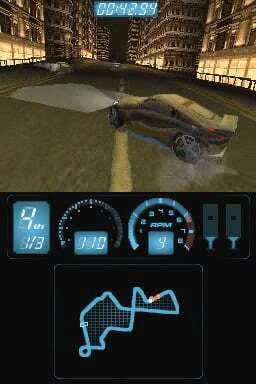 800 POINTS IS TOTALLY WORTH IT JUST GOT IT BEST DSIWARE EVER!